The three (3) paintings that the Pennsylvania Convention Center acquired are part of an ongoing series documenting the tattered streets of Philadelphia's River Wards. Water towers, old factory buildings, abandoned civic buildings all speak to a world that was; a lost Philadelphia. Gardner seeks out these under-appreciated and overlooked sites as subjects for his urban landscapes. The underlying narrative in the paintings is one of restoration and transformation; a redemption of the forgotten and discarded. This redemption occurs in the moments just before twilight turns into night, as light and darkness struggle for ascendency. 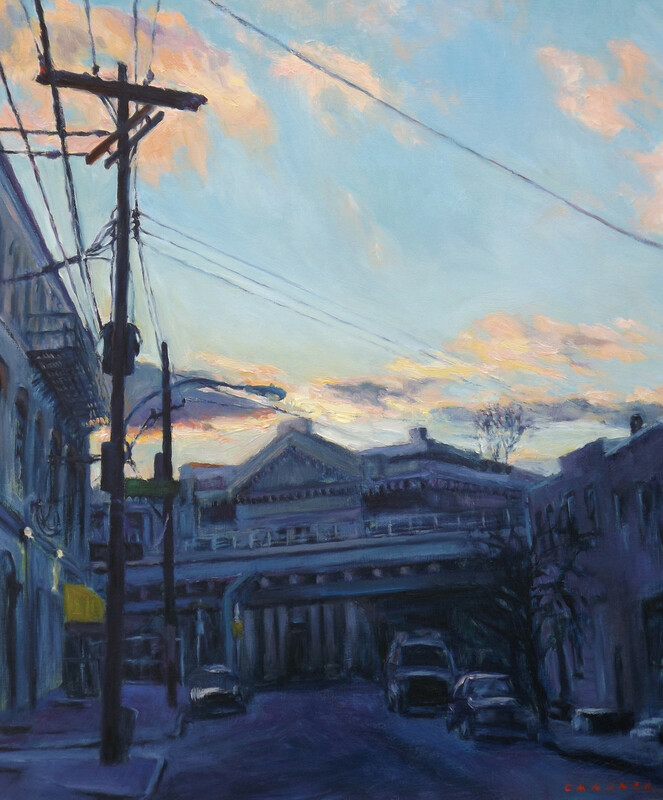 The paintings bear witness to this struggle, and deliberately portray a juxtaposition of the mundane built environment with the sacred light of a transcendent sky.